1. My workload is unbearable. I eat, sleep and breathe the current project I am on. 2. I needed some time to reflect. 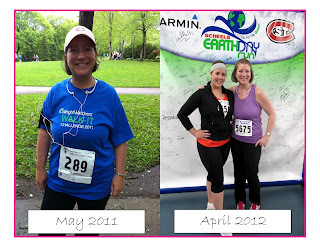 I watched in jealousy as many friends and social buddies I have come to know qualified and trained for the Boston Marathon. I'm not sure I will ever be able to run a full marathon and very much look up to those who do. I know it is the pinnacle of their running goals. The finish to a long, hard training journey. As soon as I heard about the bombings at the Boston Marathon my heart was racing and I had a sick feeling in my tummy. Are my friends okay? Who would dare ruin an event that is only positive in every single way? Why? Why? Why? Why the 8 year old little boy simply cheering on the runners, waiting for his daddy to cross the line? WHY? Why did ANYONE have to suffer? I have no answers. Only questions. Only hurt in my heart. Anger. Confusion. The only solution I have for myself to be able to find any salvation in this horrific tragedy is prayer. Prayer and my enormous resolve and duty as a runner to KEEP ON RUNNING. I will run for those who cannot run anymore. I will continue to run in huge events to prove that I am not afraid of some coward who felt the need to blow up innocent people and children. The last two years that I have been running have been for me, but I feel like it isn't only about me anymore. I am so immensely proud to call myself a part of the running community in this world. It is the most positive thing I have ever been a part of in my life and I refuse to let anyone take that away from me. 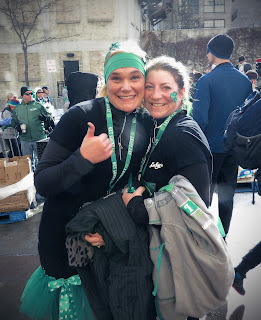 Next Saturday, April 27 marks the "true" start to my running season (although MN weather seems to have a different idea in mind. Snow? In April? Really?). As my running crew (official name is still TBD) heads out to the Get In Gear 5K, we are going to be fired up. On a mission. We won't be running this just for ourselves or for our crew. 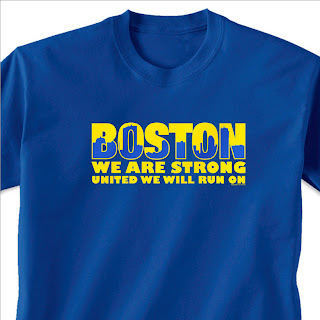 We are running for Boston. I'm sure we will try to put together a way to show our support. Our mission: Just. Keep. Running. What is running to me? Pride. Joy. Satisfaction. Accomplishment. You can't take that from me. Notice, I am smiling in every single picture. Me with 2 of the ladies from my running crew. 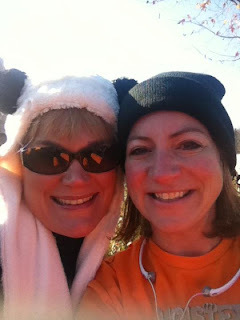 My dearest friend and running buddy. 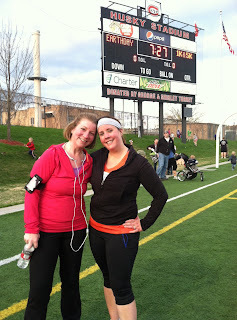 Earth Day 5K 2012- I beat my goal time by an entire minute. 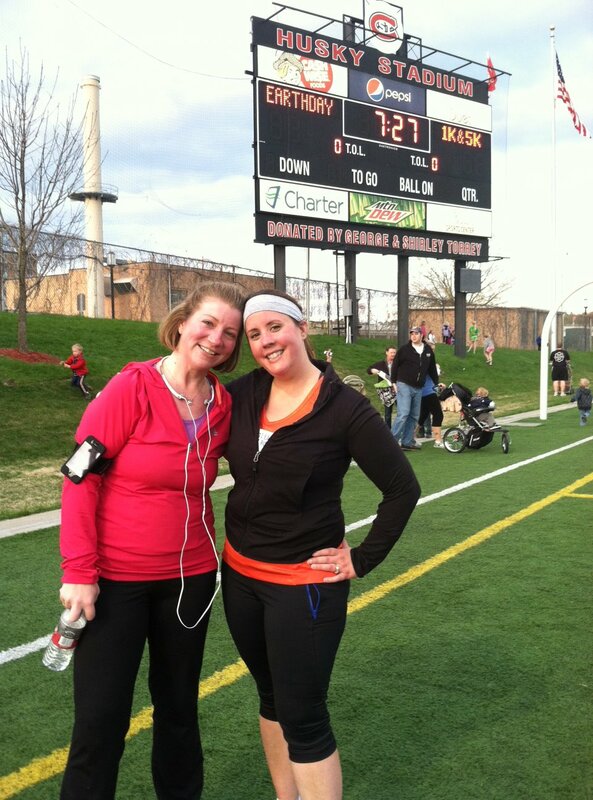 My first ever 5K- Race for Obesity. Wishing you and the world all of the peace, love and joy I hold in my heart.